How to find a wedding venue that’s a perfect match for you, your family, and your guests. Nearly every place had a separate email address just for weddings. We sent messages to each venue inquiring about planning a wedding for 50 people, “We’d like hear what you offer and how many different venues you have onsite, especially for weather backups.” After a few emails back and forth, phone calls were next, and by the end of the second call with each coordinator, we had a good sense of which venue fit our needs along with some ballpark costs. 1) Ask the wedding coordinators if they offer any special rates to couples who are flying in to check out the location as a potential venue. Hawks Cay gave us an incredible room rate, while Postcard Inn did not (their base room rate was still super affordable, which was good to know for our guests). 2) When you plan your ‘Visit & View’ trip, head down there at the same time of year you’d hope to get married. Consider hurricane season, rainy season, hot-and-sweaty-I-can’t-stand-this season. Make it as pleasant for you on this trip as you’d hope it to be for your guests. Our research pointed to the beginning of May as a way to escape the cost of Spring Break while steering clear of super hot or hurricane weather. 3) If you’re traveling quite a distance, try to book your visits in geological order. We flew into Ft. Lauderdale and stayed there overnight to enjoy breakfast on the beach. 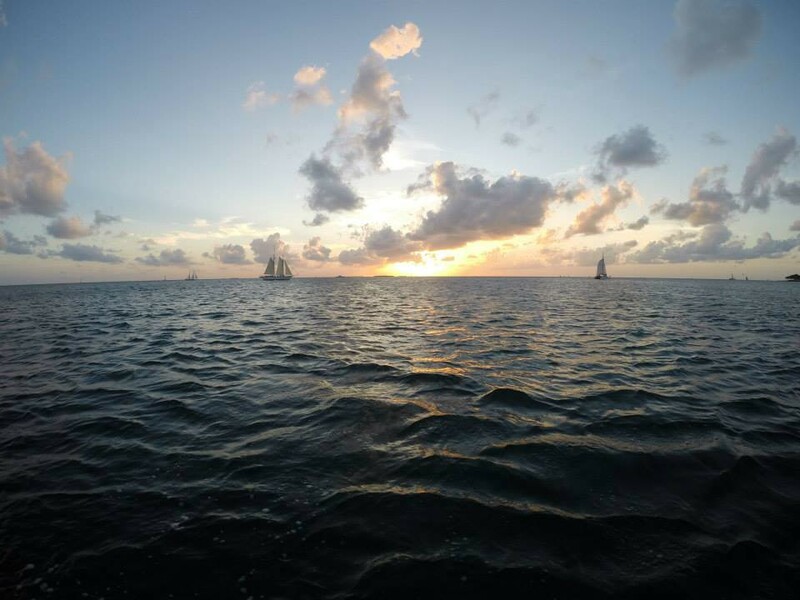 We then hopped down Route 1 to Islamorada, then to Duck Key, and finally landed in Key West for the remainder of the week. It was a lot to book, but, with The Smallest Bar in the World waiting for us at the end, it was worth all the hours spent discussing details and pricing. 4) Pay attention to your reaction as you arrive on the property. The drive from Ft. Lauderdale to Postcard Inn was very… Florida-tchotchke-ville. It wasn’t the upscale tropical ride we had envisioned – pulling into their parking lot was very much the same. Once on the other side and in the resort area, the surroundings got better, but we were a little concerned for what our guests would think as they arrived. Alternatively, as we turned into Hawks Cay, with its gleaming stucco signage welcoming us onto what appeared to be a private island, we instantly felt like our guests would feel like the trip was worth the cost of flights and hotel rooms. The thickly lined sidewalks, soft pastel villas, and incredibly nice staff also sealed the deal upon first sight. 5) Look beyond the inclusive resort offerings and consider the work of their preferred vendors when compared to your sense of style and expectations. Each location had a meeting room specifically for weddings. Preferred vendor photos, flowers, table decor, and sometimes desserts defined the decor. The photography didn’t sit well with me; the same places were shot in the same light, in the same style. After our second venue visit, we talked about flying down our own photographer (Sandra Costello) down to the Keys, because at the end of the big day, all you have are pictures to truly remember this momentous occasion. We’re a creative couple damnit. We want creative photos! 6) Sneak out and watch other weddings happening on the property. With rum runners in hand we snuck around, quietly watching and taking note of the actual weddings happening on site. Postcard Inn had a very college/neon bridesmaid/popped collar kind of wedding. We drank with some of the bridal party members that night. It was a flashback to the days of yore (hangover included). Hawks Cay had a gorgeously sophisticated wedding dripping with beachy couture, lace, and suits. The gazebo and white chairs gave a little nod to New England all the way down in the Southern Most Point. We loved that juxtaposition! However, under absolutely no circumstances would anyone be required to wear a suit – it was 100% humidity and 87 degrees. Sweat stains be gone! 7) Stand in the place where you would exchange vows and take photos. Postcard Inn really only had one major place for the ceremony whereas Hawks Cay had numerous venues across the resort. We stood hand in hand at the ones that resonated the most with us and took some photos, envisioning what our wedding album might look like. Also, take photos all over the location to share with friends and family. Get people excited! And, get their opinion (they might be helping you pay for the big day). 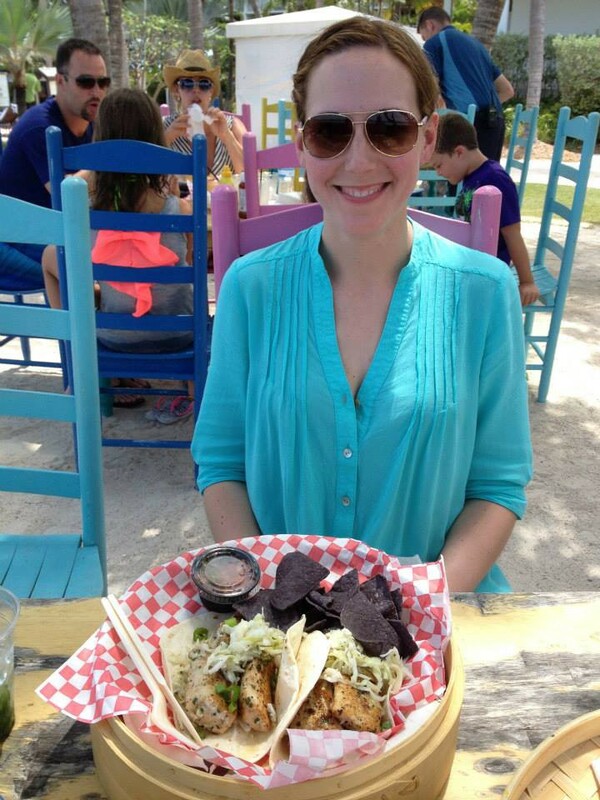 Hawks Cay had amazing fish tacos! 8) Dine onsite at night and in the morning. Put yourself in your guests’ shoes and experience what they may encounter. How is the fine dining? The bar? The coffee? If you do choose an all in one resort, they’ll want to know they have options and don’t have to go off property to get a burger (vegan or otherwise). Additionally, you may not be able to fly down to do a tasting. We had a variety of food at Hawks Cay and got a close look at their banquet offerings. We had a lovely experience and trusted the quality enough to remove a secondary trip from the to-do list just for food. 9) Trust your gut. In the end, we didn’t make it to The Hemingway House because we knew Hawks Cay was the place for us. We also knew that the Hemingway House was an a la carte situation much like the local places we looked at in the northeast. It was probably out of our price range as well. So, we decided to just enjoy ourselves and have three solid days of snorkeling, kayaking, sunset sails, and togetherness before heading home. 10) When you get home, plan a night to do dinner with the family and share all the photos, information, estimates, and experiences you had on your trip. If you fell in love with a venue, sell it, and sell it from their point of view as well! What will they care about most and what do you care about most? Share your discoveries and then add it all up with a toast of champagne for your final choice. It’s a big decision that’s in need of a kiss and a clink!